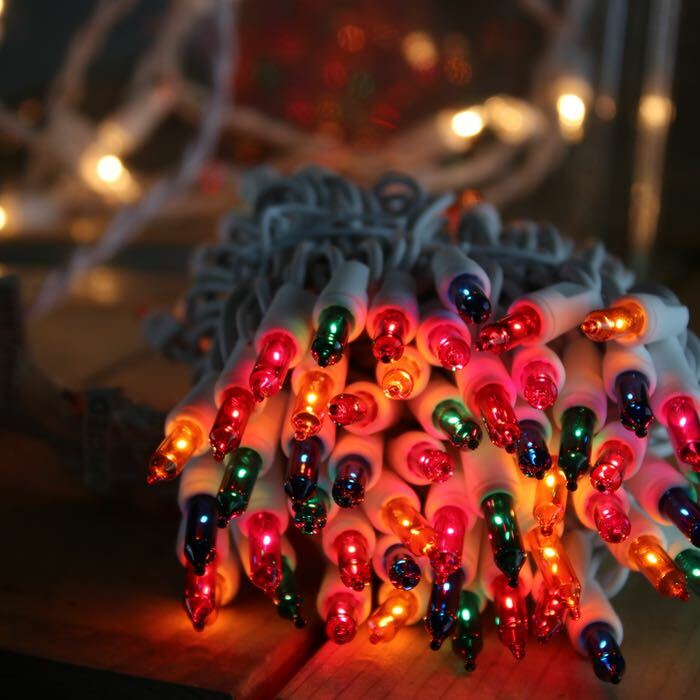 These multi-color Christmas lights designed on white wiring work as well for birthdays as they do for Christmas. 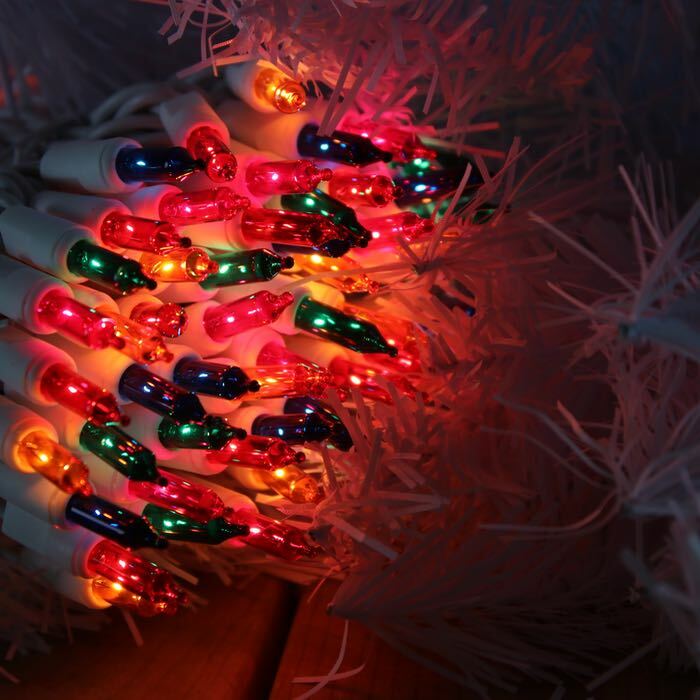 Not just for the Holidays, these are great lights to have on hand for a big fiesta! Designed with 100 incandescent light bulbs to the string with 2.5-inch spacing, this Christmas light string is approximately 21 feet long and is manufactured with 2.5 inches of wire between the male and female end plugs and first lights at the beginning and end of the string. Fitted with a regular male and female plug set, these lights plug into normal household outlets. Up to 5 sets in series can be run for a lovely 100+ feet of party lights. To run more sets, install these strings with a second extension cord or splitter. Q: Can you ship to Canada? I would like to order but your boxes only indicate United States. A: I'm sorry but we only ship to the US at this time.